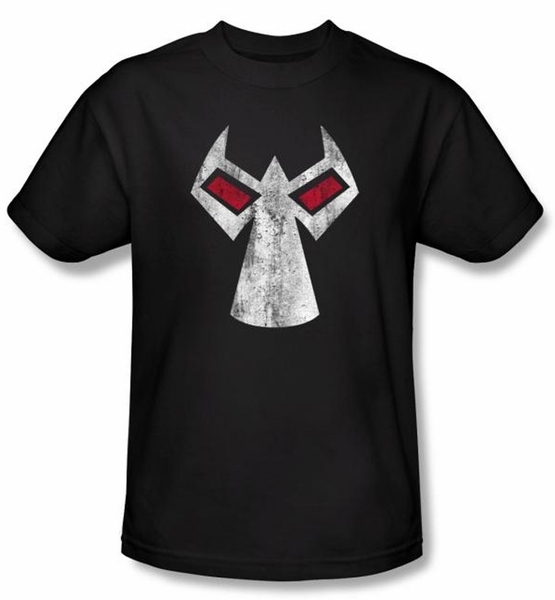 This black t-shirt features the purposely distressed mask of Bane! 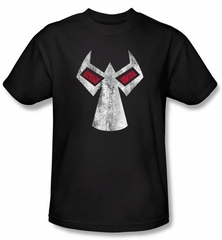 Our Bane t-shirt is an incredible tee for any Batman DC Comics series fan. Bane is a fictional character who appears in comic books published by DC Comics.